Sijie Chen was born in China and moved to the UK when she was 5 years old. She started studying at Chetham’s School of Music when she was still only able to play in first position, and later she led the Chetham’s Symphony Orchestra performing Mahler 6 with Mark Elder. While she was an ABRSM scholar at the Royal College of Music she reached the string finals of the BBC Young Musician of the Year Competition, studied for a year as an exchange student at the Eastman School of Music in Rochester, and also fell in love with period performance. Now she enjoys a varied career performing on modern and period violins. Sijie is most at home performing chamber music with small ensembles and in chamber orchestras. She has collaborated with Nicola Benedetti, Huw Watkins, Ben Gilmore, Alasdair Beatson, Christoph Richter, the Hebrides Ensemble, and other wonderful musicians and friends. Sijie is a founding member of the Raeburn Quartet, who play Classical quartets on gut strings. She regularly takes part in the Prussia Cove Open Chamber Music sessions, and has also performed chamber music in the Edinburgh International Festival as well as festivals in the USA, Canada and Israel. 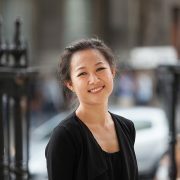 Sijie is the co-leader of the London Mozart Players and she has appeared as leader and co-leader with the Academy of Ancient Music (of which she is a member), Scottish Chamber Orchestra (of which she was a member 2010-15), Dunedin Consort, BBC National Orchestra of Wales and Welsh National Opera, and she tours with the Academy of St. Martin-in-the-Fields.